Nina specialises in hypnotherapy for children and dental hypnotherapy. Her mission in life is to assist people to free themselves of unnecessary suffering by helping them to release their fears so they can become self-aware and live their best life. Nina also helps clients with a range of issues from quit smoking, phobias, stress, anxiety, sleep issues, pain management, low self-esteem and many more. 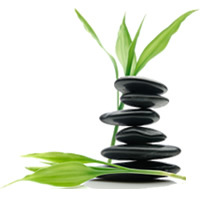 She is particularly skilled in helping clients to overcome all forms of anxiety and performance anxiety. As she has herself experienced debilitating anxiety in the past, she is committed to helping others overcome anxiety. Apart from her training, she has studied in the field of psychology and personal development for over a decade. She is passionate about mindfulness, creativity, consciousness and living an authentic life, being true to who you are born to be. Nina has a wealth of experience in assisting clients in reaching their professional and personal goals. She is a certified Clinical Hypnotherapist, NLP Master Practitioner, Life Coach and Counsellor. Nina composes her own music and is in the process of creating and producing her own hypnotic audio range. She was a member in the Melbourne Symphony Chorus and has enjoyed performing with the Melbourne Symphony Orchestra.